Here at the National Park office we are washing our fleeces and polo-shirts and practising our most welcoming smiles: yes, it’s nearly show-time. The New Forest Show at New Park near Brockenhurst at the end of the month (July 27-29, 2010) is the place where Forest communities come together. It is three days of celebration in the scorching sun, or the torrential rain, or the ankle-deep mud. The National Park has been fortunate enough to win ‘best stand’ for its efforts in three of the past five years so we have a reputation to maintain for putting on an entertaining and informative display. In previous years our stand has featured a cinema showing a specially-made New Forest film, a ‘New Forest at night’ experience with sounds, sights and smells of woodland after dark and a giant game of New Forest snakes and ladders re-named ‘adders and ladders’. 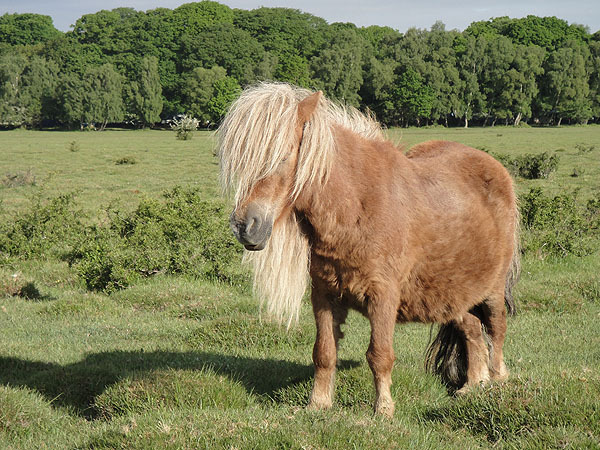 This year we are looking for the New Forest’s top model. But it’s not that kind of model. We are talking about the kind you make with modelling clay. Visitors to the stand will be invited to show the National Park team what they think is special about the New Forest by making models to fill some impressive table-top sets depicting woodland, heath, coast and village. The large habitat backdrops are being created by Ringwood-based artist Rose Perry, who helped the National Park design its previous night-time exhibit. After the show the sets will be used by the National Park’s education team. Modelling clay and other materials will be provided for visitors to get their hands dirty making ponies, dogs, thatched cottages, trees, boats – whatever they wish. At one level, this is a fun activity for people of all ages who are enjoying a day out at the county show. On another level it illustrates an important point: the New Forest is what we make it. Will you keep things the same or change them? If you have ever wanted to get your hands on shaping the New Forest National Park, this is your chance! And that is not all. In addition the stand will feature the chance to play ‘New Forest trumps’, a novel version of the popular game, with giant playing cards; an opportunity to hear sounds and see sights of the Forest heathland with an exhibit about ground-nesting birds; and a little retail therapy – the first chance to see and buy goods from the soon-to-be-launched National Park on-line shop. The National Park is in the New Forest Corner at the Show, stand number 168 block 17. We look forward to seeing you there.